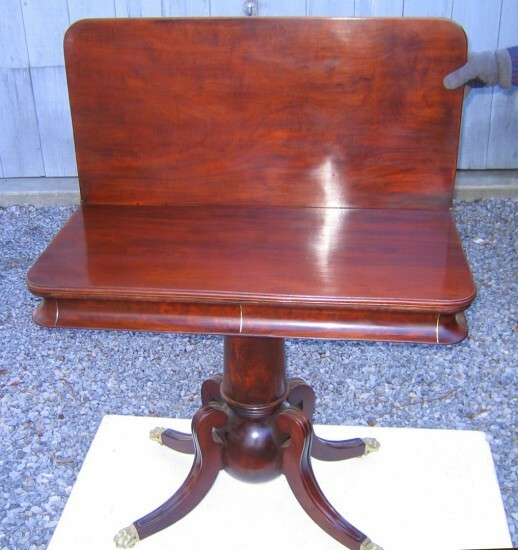 Magnificent solid mahogany (probably Boston) game table. Made 1820-1830. Impeccable design. Bold base. Pristine condition; french polished. One board tops. Entire top swivels, revealing a storage compartment.. Brass inlay and feet. 29-1/2h x 35w x 17-3/8d in.